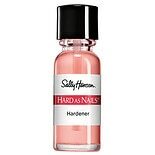 Shop Sally Hansen Hard As Nails Hardener Natural (.45 oz. ).45 oz. Shop Sally Hansen Hard as Nails Advanced Strengthener Natural (.45 oz. ).45 oz.